Welcome to Children’s Dentistry of Kyle. We specialize in dental care for infants, children and adolescents. We provide diagnostic, preventive and restorative dental care for your child using advanced dental technology, equipment and materials in a friendly environment. 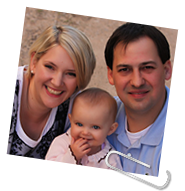 Our mission is to provide state-of-the-art dental care for children in Kyle and the surrounding communities. Our goals are to provide a positive experience for your child and to advise patients and parents on proper oral hygiene. We believe that parents are important partners in helping decide the best treatment for their child.